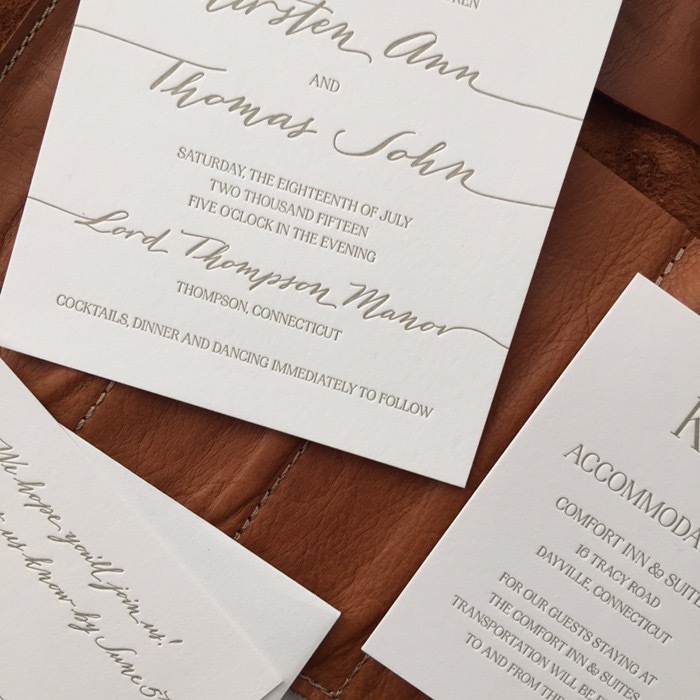 As a Bella Figura calligrapher, I get to provide many couples with custom calligraphy for their wedding and event invitations. This one was a special request to have the tails of the letters extend off the page. So we used my Mitty caps script and modified it a bit and I just love how it turned out. 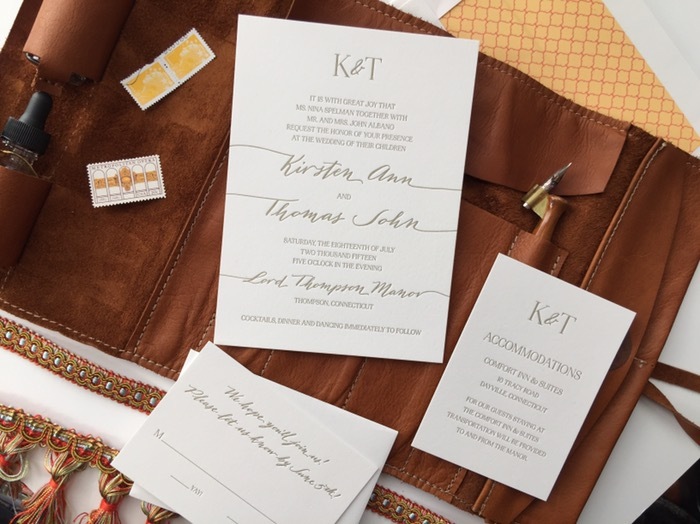 This invitation is bold, neutral and whimsical all in one. A close up so you can see that great impression from the letterpress printing process.